Brooke graduated from Bellbrook High School in 2005. She attended the University of Kentucky. 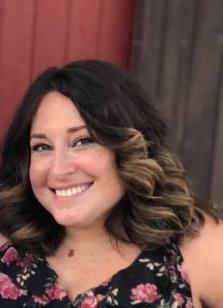 Brooke has been with the firm since 2015. She is the first person that clients talk to and she strives to make each client’s experience comfortable and pleasant. She is responsible for every day office tasks, and she oversees scheduling and organization of the records. Brooke provides support through the Blood and Marrow Transplant Network as a peer advocate for people undergoing stem cell transplants. Brooke was born and raised in Bellbrook, and she now resides in Beavercreek, Ohio, with her husband, Cole, their son, Collin, and their two crazy dogs.